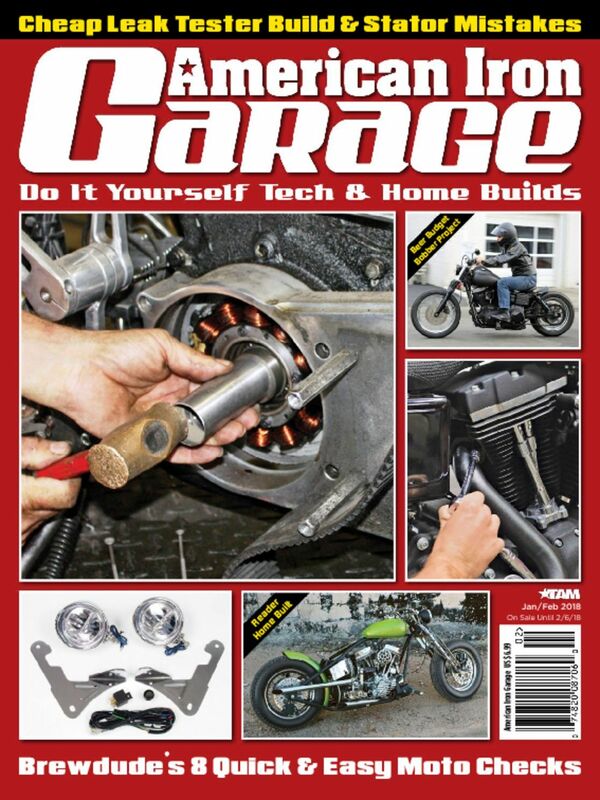 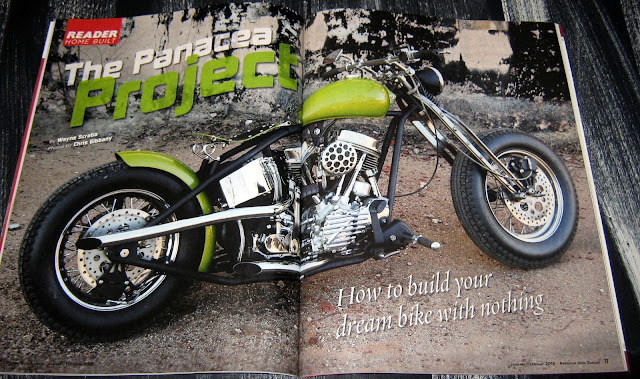 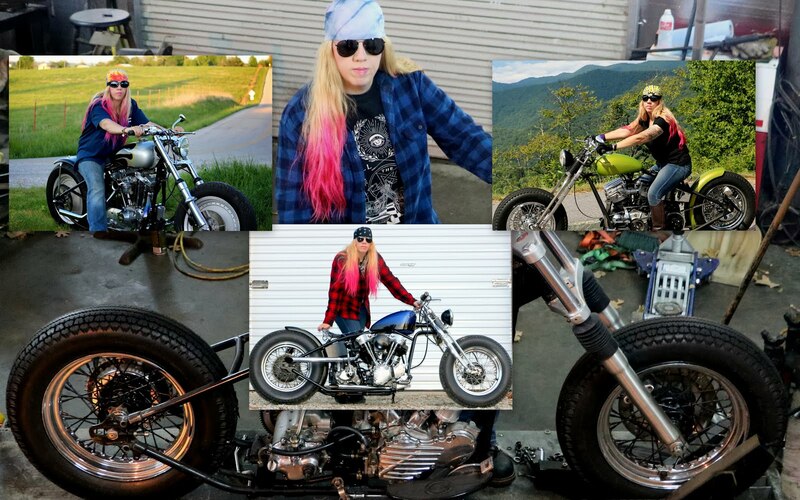 My Panhead is on the cover of American Iron Garage! 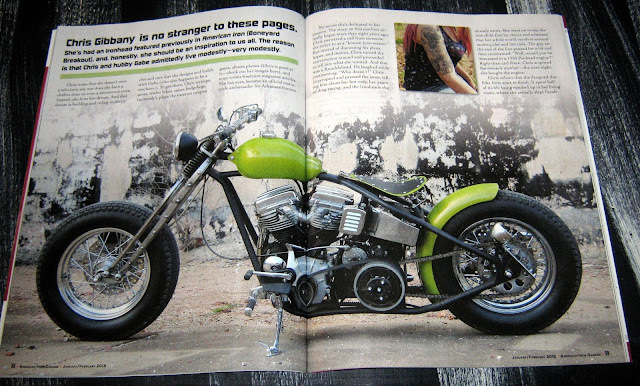 It got a six page feature! They called me back in October for the interview. 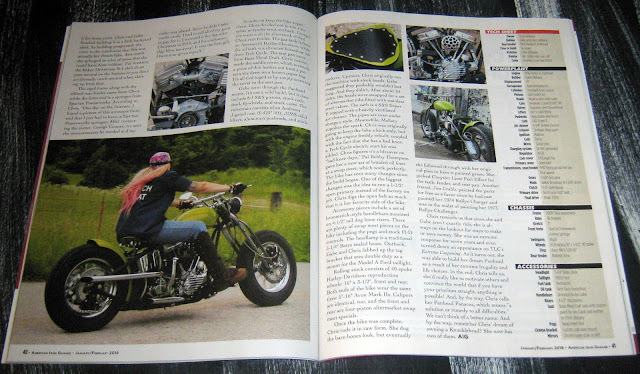 Great write up by Wayne Scraba! He did my last article in American Iron on my '81 Ironhead "Iron Man".